We’re halfway through our 5 part series on building a brand strategy for you sanitation business! 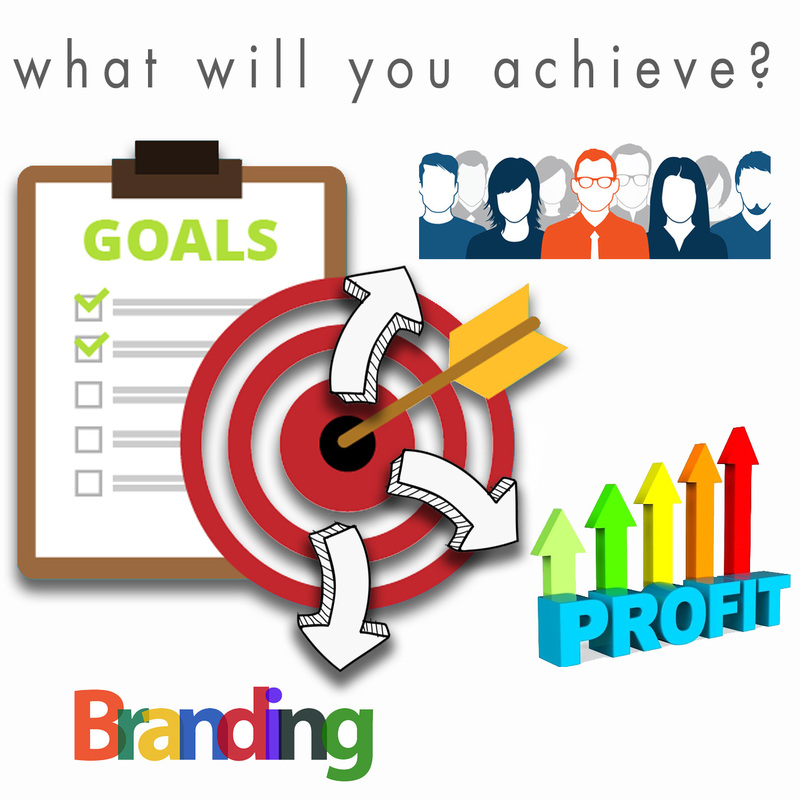 We’ve tackled, Know Your Audience, and Establishing Your Market Position, and no it’s time to cover step 3 – Setting Goals for Your Branding Strategy. This is one of the toughest steps to tackle when creating your brand strategy. One of the things we struggle with is learning how to set goals for our marketing department. It requires practice, constant refinement, focus and a little bit of playfulness. Also, you may need to re-think your definition ‘goal’. It’s not always financial! How many goals should you set––one, three, six? Should you focus on a new goal every week, month, semester, quarter or year? If you’re a small company and you need to achieve quick growth, how do you pick which goal is most important when there are a billion urgent things that need to happen? How do you stay focused on your goals (once you’ve finally decided on them) and not let other stuff get in the way, like tempting partnership opportunities or new tactics you want to try out? Lots of questions, but all completely relevant. Here are a few pointers to help you answer some of these questions, or others you may have. Choose 1-2 core goals that impact the bottom line and 3-5 supporting goals. Anything more than that will distract you from what’s most important. We set goals for the year, for the quarter, then for each campaign (other than general info release). When we have no historical data, we make educated guesses. Worst case scenario – we experiment, then have data for next time. Alternatively, try focusing completely on just one goal. – boost web traffic by 4%, write 1 blog, make 5 social media posts etc.. Pick goals that you genuinely care about achieving (be authentic). Do you want to promote your company, establish yourself as an expert on something, convert a specific lead? Don’t just focus on the finish line; enjoy the process of achieving your goal. Nothing about marketing is fast or easy. Think about the overall goal at all times. Set the minimum bar at delivering on at least 70% of the planned improvements each quarter. It’s okay to fail, but know that without setting hard lines in the sand, you can’t really improve. Even marketing superheroes have trouble maintaining laser focus on their goals. Make sure your short-term goals always support your long-term prospects. I have to boost sales by 20%. How many customers do you have now, compared to how many views, interactions phones call etc.. you get each year (or week or whatever). To boost sales by 20% you should, in theory, have to boost your marketing efforts by some equal %. OR focus 20% more on account-based marketing and upsell your current clients. Can you truly understand the outcome of a project, if you don’t understand the goals you’ve set in place? To answer this you need to understand the difference between goals and outcomes. • Goals are part of an umbrella spectrum, while outcomes are specific and precise. • Goals are generally not measurable, while outcomes are observable and measurable. I want more website visitors, leads, and sales. Generate a larger email list. Rank number one in Google. We need 5,000 visitors, 50 leads, and 6 customers within the next 12-months, from our inbound marketing efforts in order to achieve our revenue goal of $20,000 from inbound marketing. Let’s generate 2 customers from our current client list using email marketing. We would also like to add all qualified leads to our mailing list, allowing us to keep these leads warm for future sales. Plan to rank number one for the keyword term “septic cleaner,” since we estimate that it will generate 300 visitors to our website per month. Now, the more specific you get, the more knowledge you must have to maintain proper tracking of your goals. If you don’t know how to use email marketing, what keywords will work for your company, or how many visitors you’re getting to your website, just Google it. Within seconds you’ll find countless resources (many of them completely free), to help with setting goals. We’ve got most of our planning in place! We’ve identified our audience, chosen our desired market position, and established realistic and attainable goals! Next week, we’ll take the next step in choosing the right channel. As always, if you need help with our products, services or anything else portable sanitation related, contact us anytime!